Mr. Cohen’s playing of the Chaconne had an improvisatory quality, with more tempo fluctuation than one sometimes hears, but this was always organic and convincing. He produces a big, ringing, but always beautiful sound. The Handel Variations began at a brisk tempo and, indeed, there was an athleticism to much of his playing. It was very satisfying to hear the power he brought to such highpoints as the last Variation before the Fugue. Yet, he always brought out contrasts, with the softer, sensitive parts played just as expressively. And, like a musician’s musician, there was always at least a subtle change in the expression of loud or soft variations when he played the repeats. Mr. Cohen is a very fine Chopin player. One never thinks about his rubato, as it’s so natural. He plays with strength and virtuosity when needed, but always makes a convincing transition to the slow and gentle sections. Interestingly, he chose to play the Scherzi in an unusual order, ie. 1-4-3-2. In the first Scherzo one noticed the power and ease with which he played, the beauty of the middle theme, and the Horowitzian interlocking octaves at the end. In the fourth Scherzo there were wonderful, splashing right hand figurations, and a hush of anticipation before the final return to the main theme. The third Scherzo had muscular octaves, whirlwind arpeggios, and a dizzying coda. The second Scherzo was also brilliantly played, at the end of which (pianists must have noticed this), Mr. Cohen did not take an extra split second before nailing the final cross hand jump. Following an enthusiastic response, Mr. Cohen played one encore, a fast and puckish reading of Chopin’s Minute Waltz. Arnaldo Cohen is a favorite in this area, as he is a frequent recitalist in the piano series presented by the Philadelphia Chamber Music Society. But I suppose one could say that he is a favorite wherever concertgoers enjoy superb piano performance. All of that in one program? Thanks for the fine review. As Henry so noted, Arnaldo Cohen is a Philadelphia special favorite and his recitals here over the years have been unanimously well received, as they should be. Apparently he has reduced his concert career and I hope he reconsiders that decision, since he always displays exceptional skills and musicianship in everything he plays. His recording of the Brahms Handel Variations is as good as it gets. Outstanding review, Donald. Thank you. 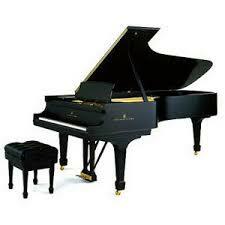 I know that Yamaha was an arch supporter (I think Bösendorfer, too, if I heard the pre-concert interview correctly). I'm curious, naturally, about the piano Mr. Cohen played ... I believe a Yamaha CFX, their top-of-the-line piano. How would you rate the quality of sound as compared to the traditional Steinways generally used on most concert platforms?